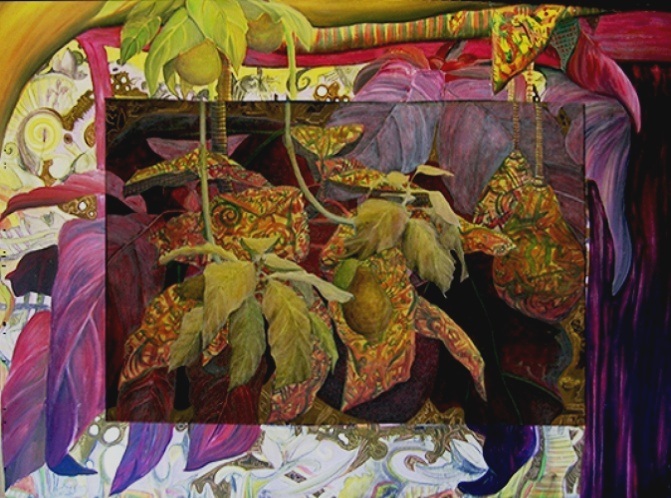 Relating paintings to each other and modifying such relationships over time is a feature of Oru's work. Painting as the raw material of Painting itself. 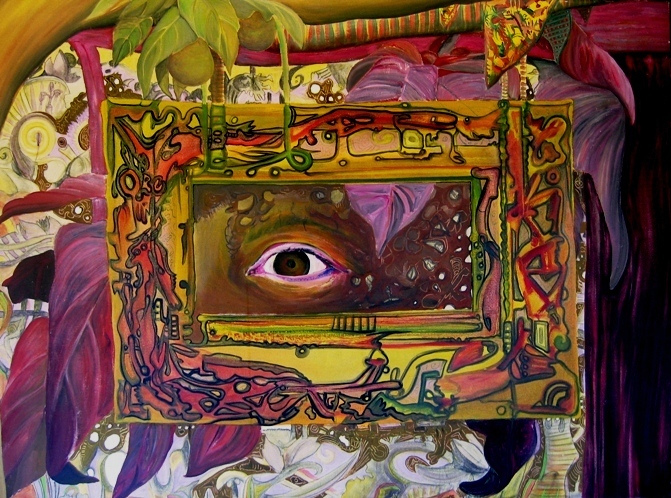 In the following examples, we see (in order of presentation) "Abacateiro I" that served as central element for the development of an external in the central part of which was later made the painting that contains an eye ("Ela") and presented in the exhibition COMO SE CHAMA (2001) in Lisbon as an "ecliptic" work, which the visitor could cover or not with "Abacateiro I". Later, "Abacateiro I" received an external one (Pinacófago) and "Ela" suffered overpaintings and happened to be called "Ramagem Negra". 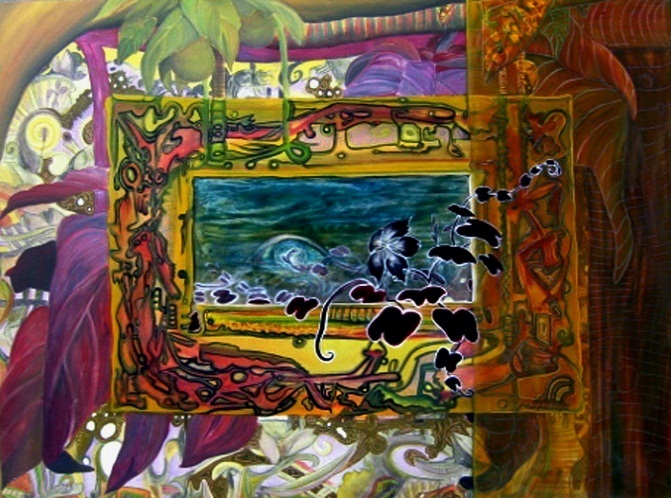 "Abecedela" is a multiple painting that was painted by Oru during the four days of the Rio's Carnival in 2003. 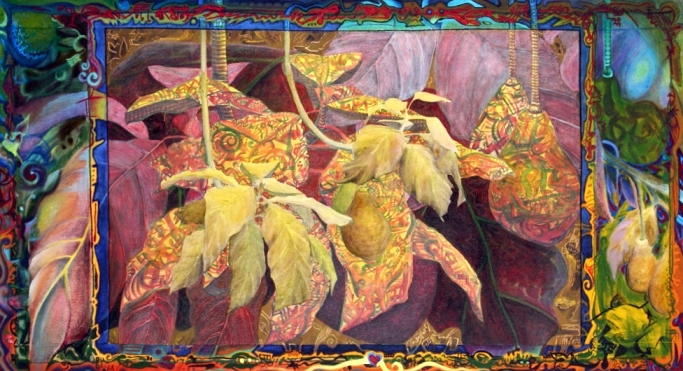 Oru intended to present the various types of relationships between three successive paintings that Oru had already done in his earlier works puting paintings in relation. In a descriptive way, these narrative of that relations shows to kind of "abecedario" of the visual Units hitherto composed. 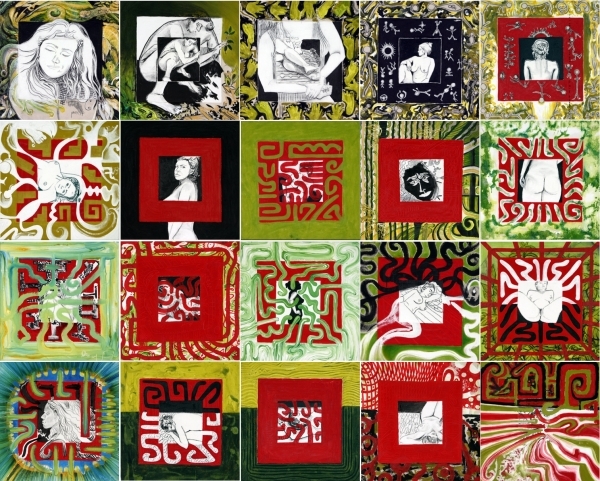 Also for being quadrangular, the units of this multiple painting appeared ideogrammatic each one, being able to write "phrases" with these paintings. 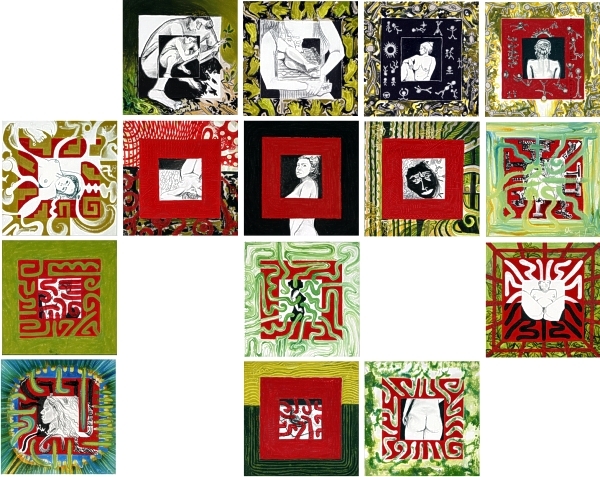 Thus, in the 2004 ORU AM exhibition, "Abecedela" was presented in two sets: "Mauro Ausente" and "Oru am" (second and third images). 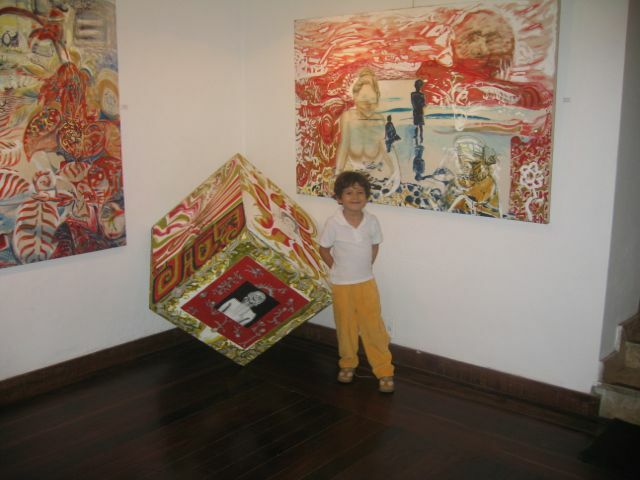 Later, in "À FLOR DO SILENCIO", in 2010, "Abecedela" was presented in "paintings cubes" (fourth image). The entire panel - multiple painting - was never presented. 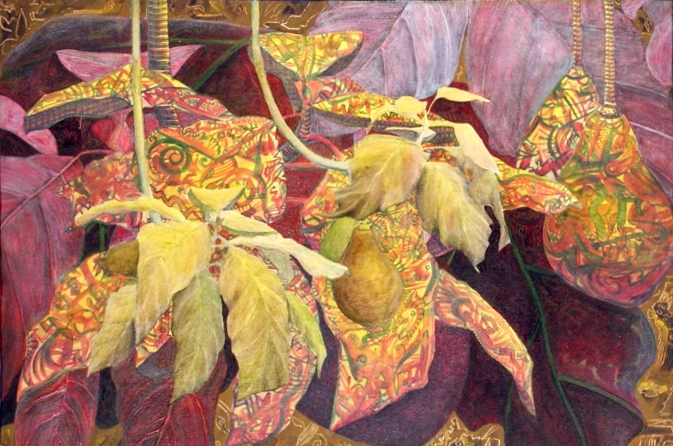 It is worth emphasizing that the initial descriptive and therefore conceptual intention - rare in Oru's work - surprises us by presenting unforeseen concepts, reinforcing that in Oru's work the creative process does not originate from concepts and ideations, it is, usually, an experimental process, however which often reveals interesting new concepts.